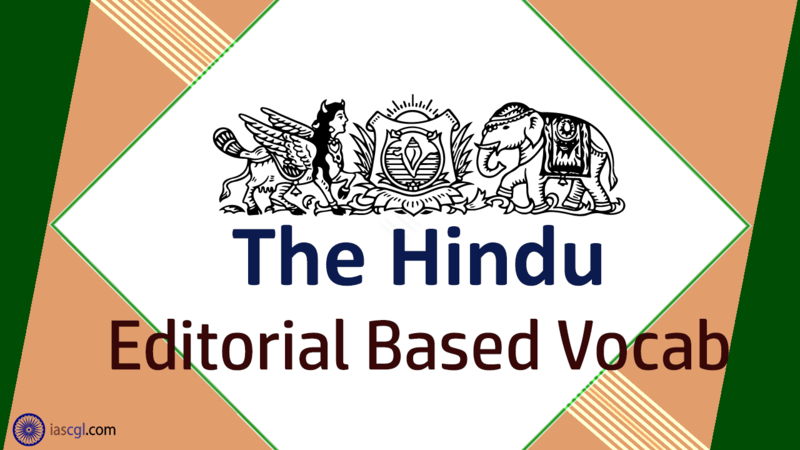 The Hindu Vocab 01 Sept 2018, Prepared by Neha Singh. Outskirts: सरहद - the outer parts of a town or city. Cluster: समूह - a group of similar things or people positioned or occurring closely together. Indistinguishable: अविवेच्य - not able to be identified as different or distinct. Hues: रंग - a color or shade. Effluents: अपशिष्ट - liquid waste or sewage discharged into a river or the sea. Tanneries: चर्म शोधनालय - a place where animal hides are tanned; the workshop of a tanner. Bouts: मुकाबलों -a short period of intense activity of a specified kind. Remnants: अवशेष - a small remaining quantity of something. Extrudes बाहर निकालना - thrust or force out.